Gary S. Kaplan, MD, FACP, FACMPE, FACPE, has served as chairman and CEO of the Virginia Mason Health System in Seattle since 2000. He is also a practicing internal medicine physician at Virginia Mason. Dr. Kaplan received a degree in medicine from the University of Michigan and is board certified in internal medicine. He completed his internal medicine residency at Virginia Mason and served as chief resident in 1980 and 1981. He is a Fellow of the American College of Physicians (FACP), the American College of Medical Practice Executives (FACMPE) and the American College of Physician Executives (FACPE). 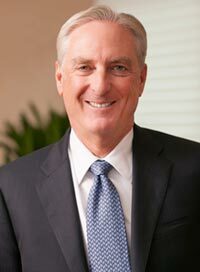 He is recognized as one of the most influential physician executives in health care. Dr. Kaplan is chair of the National Patient Safety Foundation Lucian Leape Institute and immediate past chair of the Institute for Healthcare Improvement Board of Directors. He was a founding member of Health CEOs for Health Reform and has held leadership positions with numerous organizations, including the Medical Group Management Association and the Washington Healthcare Forum. In 2019, Dr. Kaplan received the Lifetime Achievement Award at the 11th annual Seattle Business magazine Leaders in Health Care Awards. In 2018, Dr. Kaplan received the Steven Schroeder Award for Outstanding Health Care CEO, which recognizes a health care executive who has demonstrated courageous and ethical leadership in addressing affordability and quality. The award is presented by Costs of Care, a Boston nonprofit organization that strives to help health systems provide better care at lower cost. Modern Healthcare magazine ranked Dr. Kaplan No. 42 on its 2018 list of the 50 Most Influential Physician Executives in the U.S. He has been on this prestigious annual list 13 times. Modern Healthcare magazine ranked Dr. Kaplan No. 67 on its 2018 list of the 100 Most Influential People in Healthcare. In 2013, Dr. Kaplan was elected to membership in the Institute of Medicine, one of the highest honors in the fields of health and medicine, recognizing individuals who have demonstrated outstanding professional achievement and commitment to service. Dr. Kaplan received the John M. Eisenberg Patient Safety and Quality Award for Individual Achievement in 2009 from the National Quality Forum and The Joint Commission for his contributions to improving patient safety and health care quality. Also in 2009, Dr. Kaplan received The Harry J. Harwick Lifetime Achievement Award from the Medical Group Management Association and the American College of Medical Practice Executives in recognition of his contributions to health care. In 2017, Virginia Mason received the America’s 50 Best Hospitals Award from Healthgrades, placing the medical center among the top 1 percent of hospitals in the nation for year-over-year superior clinical performance across a broad spectrum of care. Virginia Mason received the 2016 America’s 100 Best Hospitals Award™ from Healthgrades. Virginia Mason ranks among the top 2 percent of more than 4,500 hospitals evaluated nationwide for its consistent, year-over-year superior clinical performance across a broad spectrum of care as measured by Healthgrades. Virginia Mason received the 2016 Distinguished Hospital Award for Clinical Excellence™ from Healthgrades. As an award recipient, Virginia Mason ranks among the top five percent of the more than 4,500 hospitals evaluated by Healthgrades. It is the only hospital in Washington state to receive the award six consecutive years (2011-2016). For the 11th consecutive year, The Leapfrog Group named Virginia Mason one of the Top Hospitals in the United States in 2016. Virginia Mason is the only hospital in Washington state to receive the Top Hospital award. Also, it is the only hospital in the nation named a Top Hospital every year since the recognition program began in 2006. Virginia Mason was named one of the “Most Wired” health systems in the nation in 2016 for the fifth consecutive year by Hospitals & Health Networks magazine, the publication of the American Hospital Association. Virginia Mason was included on U.S. News & World Report’s list of the Most Connected Hospitals of 2015-16. In all, only 159 of the more than 5,600 hospitals in the United States made the list.